Truthfully, I go for easy meals after Thanksgiving. I seem to spend about 2-3 days in the kitchen preparing for the big meal so once it’s over, I really don’t want to spend a lot of time fixing more meals for a few days. There are so many great ways to use Thanksgiving leftovers. Last year I used up the extra cranberry sauce and made a trifle (might need to do that again for this year), yesterday I shared our favorite way to use up leftover turkey (or chicken) and veggies and today, I have another recipe to use the turkey, veggies and mashed potatoes and once again, it’s simple… Turkey Shepherd’s Pie. 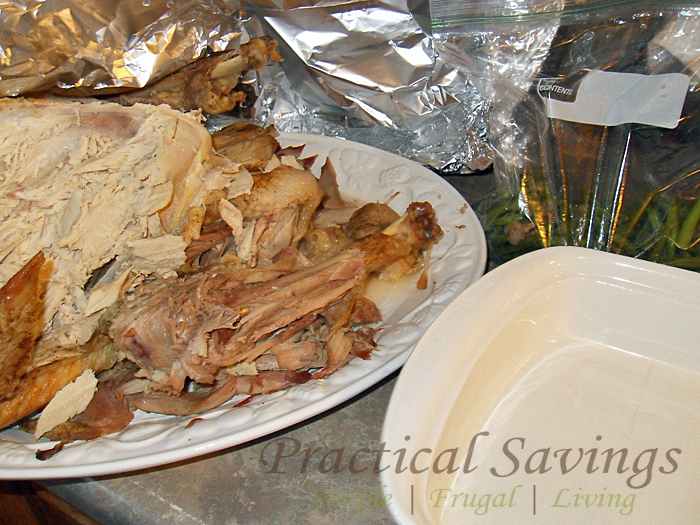 And before I forget… see that lovely white platter under the turkey? It.is.gorgeous. It’s a Good Cook product and I love it. I’ve never had a nice turkey platter and we have to buy some big birds around here if we want any leftovers. I loved how large, sturdy and yet light this platter is. The cast of characters: turkey, veggies, gravy and mashed potatoes. Oh and if you have any french fried onions left, save those for the top. Start your layers by putting some gravy down in your pan. Add your veggies (I tossed in some mixed just because). 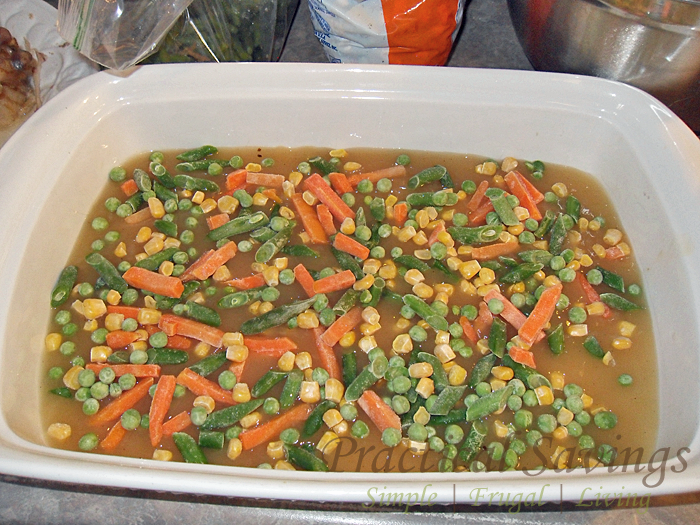 Finish adding your veggies and top with a bit more gravy. 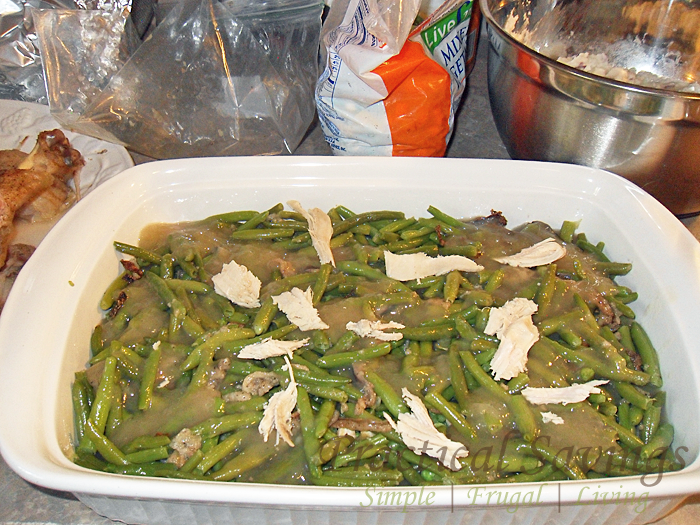 Next add your turkey… and more gravy… if you want. I didn’t get a picture of the last step but start adding your mashed potatoes on top and spread them out. 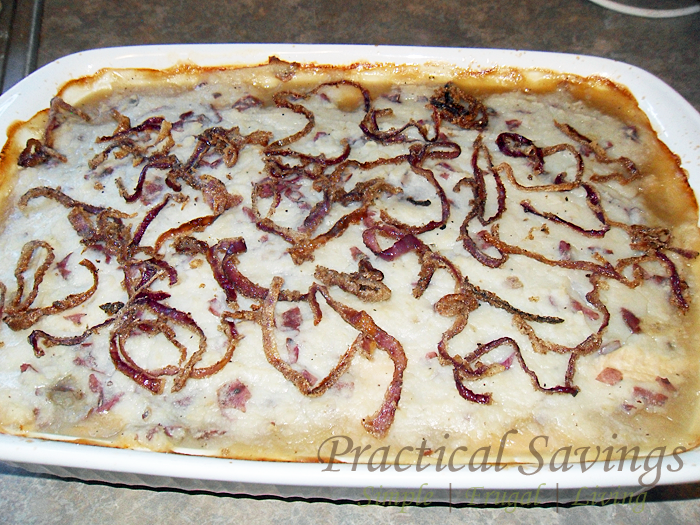 Top with your fried onions and bake until the potatoes start to brown. 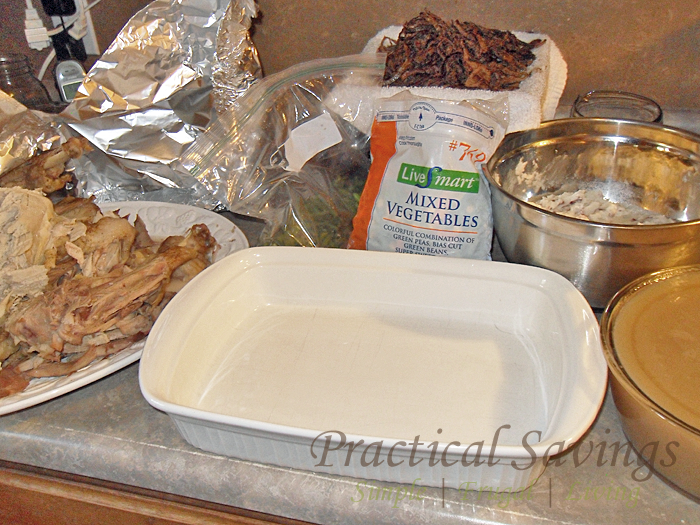 We're talking using leftovers so just use what you have or maybe add a little more to it if it's easy enough. Spread a bit of gravy on the bottom of your pan. 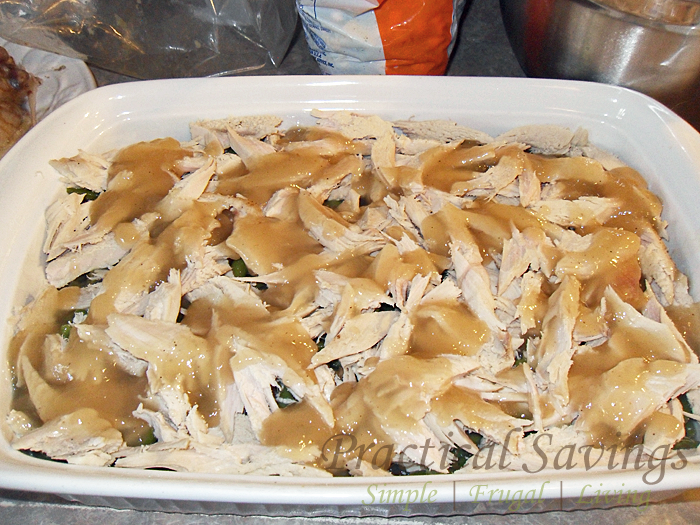 Add your veggies on top and spread a bit more gravy over those. Next add your turkey. Add a bit more gravy if you'd like more liquid to your Shepherd's Pie. Spread your mashed potatoes on top of the turkey. Sprinkle your fried onions (if adding) on top and place in the oven for approx. 30 minutes or until potatoes start to brown.